We are making rice that uses nutrients more efficiently in order to reduce fertilizer use. 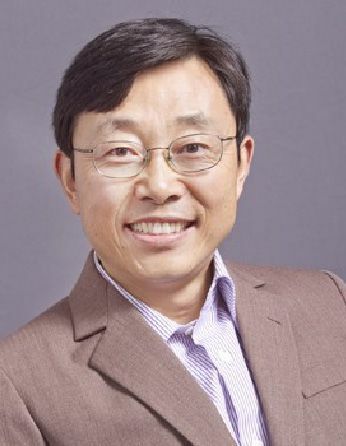 Sheng Luan is a Professor and Associate Chair in the Department of Plant & Microbial Biology at the University of California, Berkeley. The Luan lab studies how plants perceive and respond to extracellular signals through modifying their developmental and physiological programs. Plant growth requires sunlight, water, minerals, and carbon dioxide (CO2). While sunlight and CO2 are abundant, water and minerals are limiting factors for crop production. As fresh water and energy resources become increasingly limited, sustainability of agricultural practice depends on higher use efficiency of both water and nutrients. While extensive research has been directed to understanding water use efficiency, much less has been done on the mechanism of plant nutrient use efficiency despite our awareness that heavy use of fertilizers is not sustainable and pollutes the environment. Cereals (e.g. rice, corn, and wheat) are grown on more than 60% of world farming land consuming commercial fertilizers. Potassium is necessary for plant growth and is a core component of fertilizers. We are dissecting the gene networks responsible for high potassium (K)-use efficiency (KUE) in rice and to further engineer high KUE by genome-editing approaches. We are using rice as a model cereal for this project because of its easy transformation protocol and availability of rich genetic and genomic resources. We will perform comparative analyses of K-transporters in rice and Arabidopsis. As K+ exists in the ionic form and cannot be metabolized in cells, effective uptake and distribution of K+ holds the key for KUE in plants. Dissecting the roles of K-transporters using genetic analysis of CRISPR mutants will provide a “road map” of K+ movement throughout the plant. We will thereby determine the key differences between rice and Arabidopsis in their K-transport and regulation mechanisms. Next, we will use QTL mapping to identify genetic loci associated with low-K tolerance in rice landraces. We collected and screened recombinant inbred lines for sequencing-based association mapping, a protocol that provides linkage maps much faster than the traditional marker-assisted mapping. The candidate genes will be functionally analyzed and will provide the first group of target genes for engineering high KUE trait using modified CRISPR-Cas9 approaches. This project will provide a mechanistic picture of KUE in a model cereal, including key genetic loci responsible for high KUE traits in the rice subspecies indica and japonica. This information will serve as a knowledge base for engineering high KUE in a “rationale design”-based approach using CRISPR technology. This will serve as a pilot project that will be expanded in the near future to improve use efficiency of other nutrients (e.g. nitrogen and phosphorus). Engineering high nutrient use efficiency in cereal crops will effectively reduce the use of chemical fertilizers to support sustainable agriculture, contribute to a cleaner environment, and improve human health.